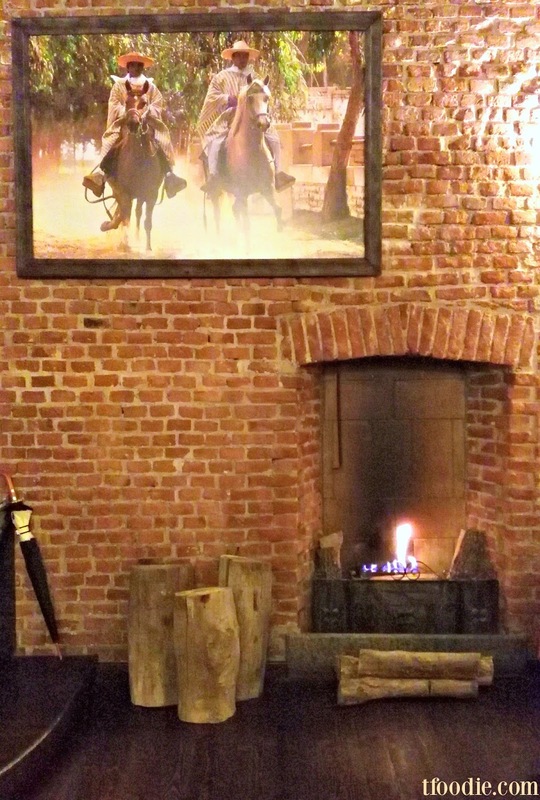 So, thanks to Zomato, I discovered Inkanto, this cute restaurant with a great atmosphere, brick walls, a chimney, dim lights, fantastic latin pop music selection and even a pisco lounge - what else does it need to make it my favorite, oh, yeah, the food! 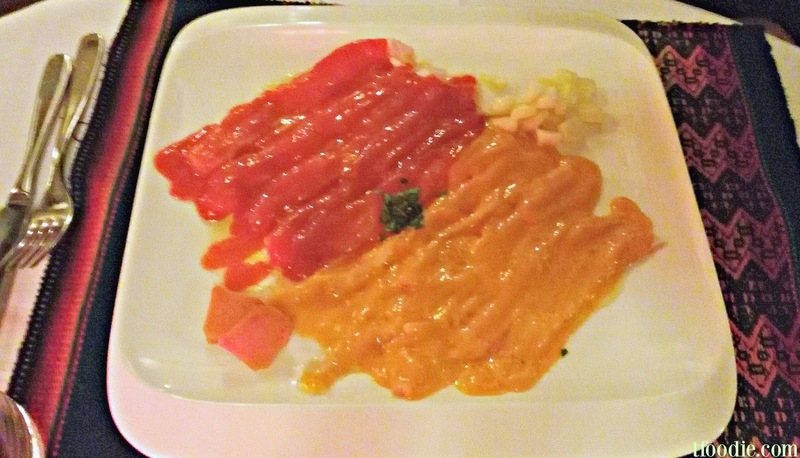 Our at Inkanto was great, we ordered tiraditos and the typical causa rellena with tuna (a potato based dish) as starters and they were perfect - I couldn't stop eating the causa and the tiraditos were a bit spicy as I like them. 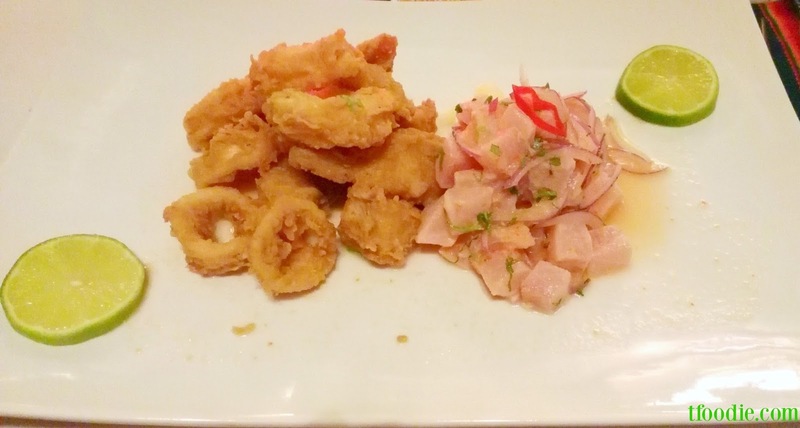 For main courses we got the Javiche (mixed ceviche and fried seafood) and the Tuna steak with Lima beans purèe in bitter sauce - again, both good, the ceviche was spicy but I've had it in other places in town and this is by far the best one. 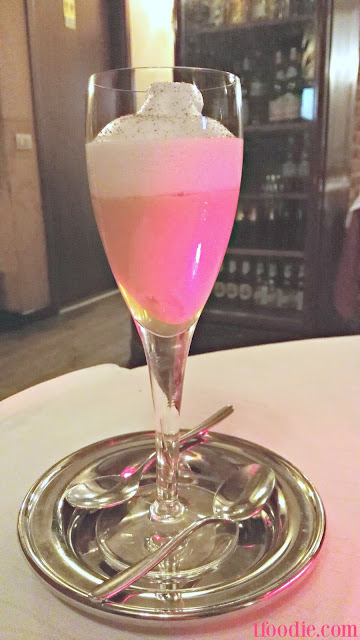 We then shared a Suspiro ('sigh', what a cute name for a dessert - "wanna share a 'sigh' with me? "), a typical dessert from Peru's capital a sweet cream with an alcoholic foam on top. Btw, did you know that they have 2x1 cocktails on Friday evenings? 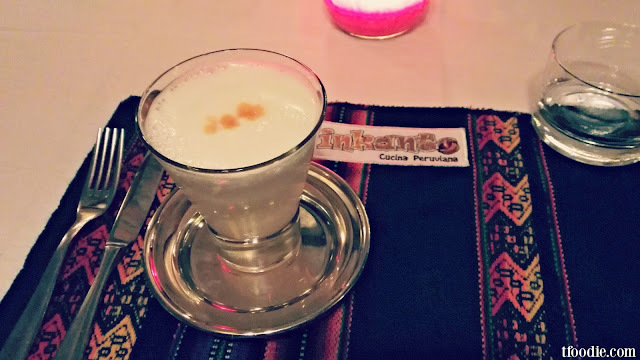 this is something to keep in mind because their pisco sour is among the best ones in town, you can have a seat in the cozy pisco lounge and enjoy your drink in this nice atmosphere. 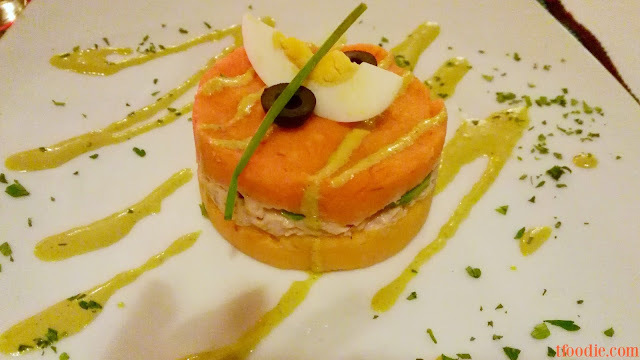 So a couple of pisco sours later, we left the place, super happy after a nice, romantic dinner in this new favorite, thanks again to Zomato for introducing us (oh! if you haven't done so, follow me on Zomato, you'll get to read more about my favorite - and not so favorite - places in town), make sure you check out Inkanto just a short walk from the chaotic Darsena, staff is super nice and prices are fair for the quality, enjoy! Via Emilio Gola, 4, 20143 Milan.